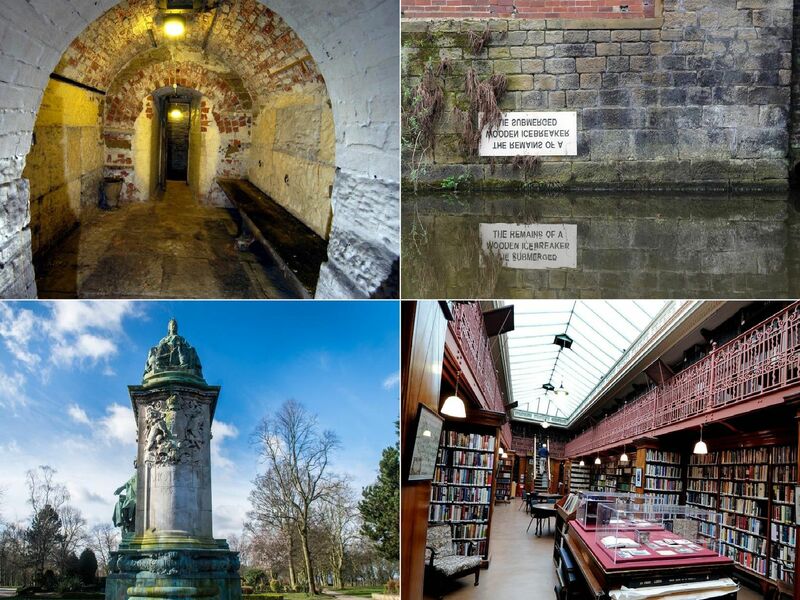 It’s difficult to walk around Leeds without stumbling upon a hidden gem that you haven’t spied before. 1. Have you noticed this? The sign on the Leeds Liverpool canalIt reads: 'The Remains of a Wooden Icebreaker Lie Submerged' and is found near the Leeds Industrial Museum, Armley Mills. This memorial was unveiled in November 1905, and originally stood outside Leeds Town Hall. It was moved to Woodhouse Moor in 1937 was designated as a Grade II* listed building in August 1976. Adel's York Gate garden packs quite a punch for its one acre proportions. It never fails to intrigue its visitors with its fourteen garden rooms, linked by a series of clever vistas. St John's is the oldest church in the city centre, being built between 1632 and 1634 and is recorded in the National Heritage List for England as a designated Grade I listed building.